When focusing on a gymnastic element or game technique I often share with my students a slow motion capture of the highlighted element. I do this this by using Superburst app. This is a real time feed back that can turn into a formative assessment enhancing students learning, and the next stages of planning. Sometimes I compile a couple of movies created from these bursts into the Replay app, to create a short clip which I will mirror on a big screen at the end of the lesson. Then, I encourage my students to reflect in small gorups about their perfomance. 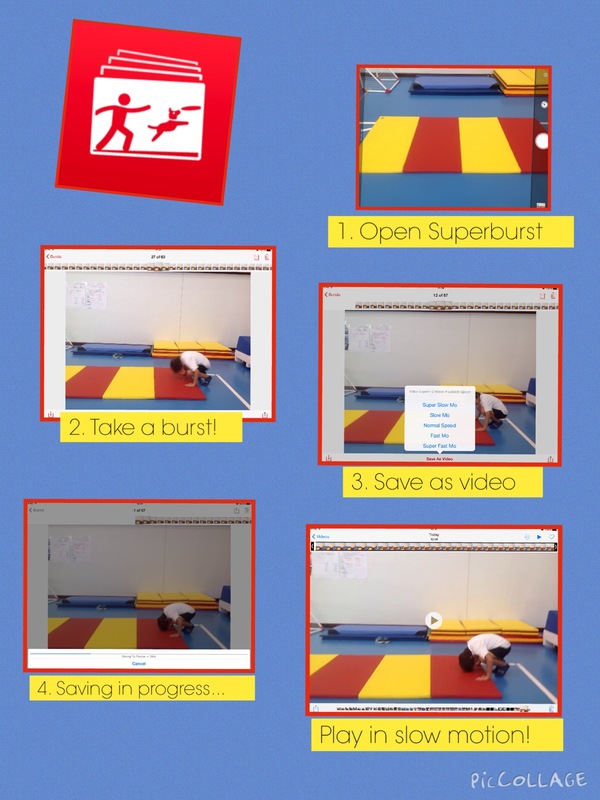 Superburst comes in a bundle with some other useful apps such as SuperSlo, Supercut, Square Video, Reverser, Snap Still, and Flow. Give them a try and share your ideas or creations! 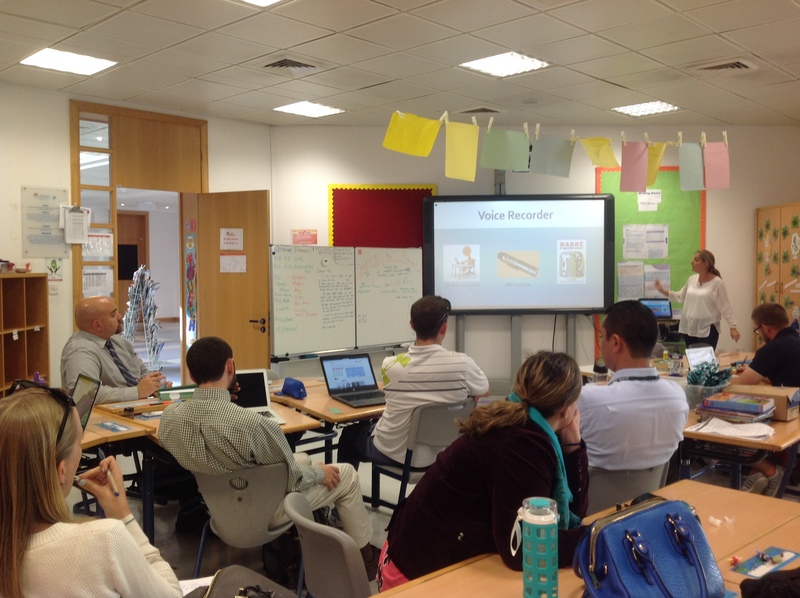 Recently I have been presenting with my colleague Carmen Fernandez at the Qatar Academy during a joint PD session. 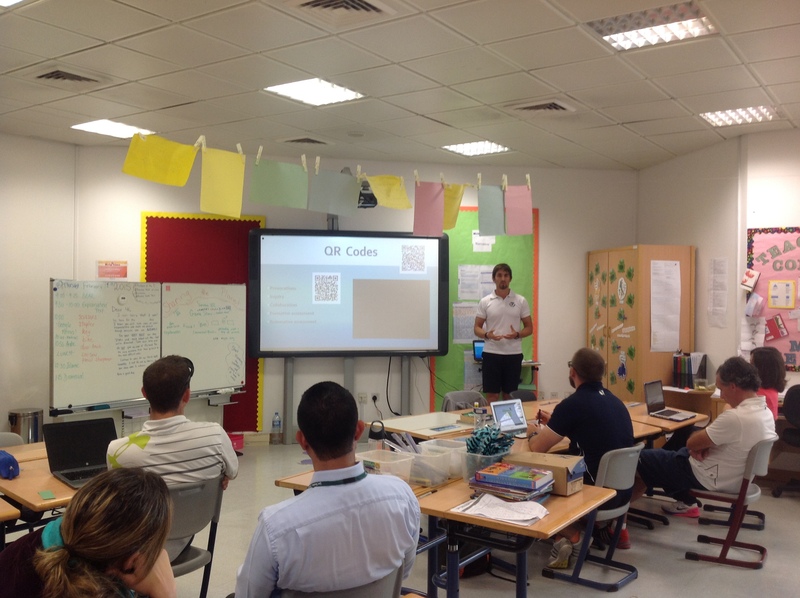 We have shared some of the strategies and tools that we are using in our lesson when integrating technology. I have talked about QR codes, video analysis assessments in the early ages and how to record, report and share evidence of these assessments with students, parents, and teachers. Carmen presented tools that can boost the summative and formative assessment or her Spanish lesson: Kahoot, Tagxedo, Vocaroo, and Socrative. The highlight of the presentation was our collaboration during an integration unit about ocean animals with pre 5 students. Carmen recorded the students pronouncing various names of ocean animals in Spanish. With these files she created QR codes. I posted the QR codes in the gym and the students had to scan them with the iPads, listen to the recordings, and then imitate the moves of those animals for a number of times. Having a great mix of students for all around the world, this formative assessment turned into a peer assessment and a great way to differentiate. Students with good Spanish phonetics skills helped their partners to identify the animals and facilitated learning. Acquiring Spanish or any other language through movement is possible with the help of technology like the one I have described. Students are engaged in the learning process, teachers are learning, and the efficiency of the lesson is increased. Share your ideas if you have other relevant learning experiences!